First, I want to thanks Uncle Wilson @ Jaben for the review sample. SE-777 is available at Soundcat for $79 and Jaben if you ask. 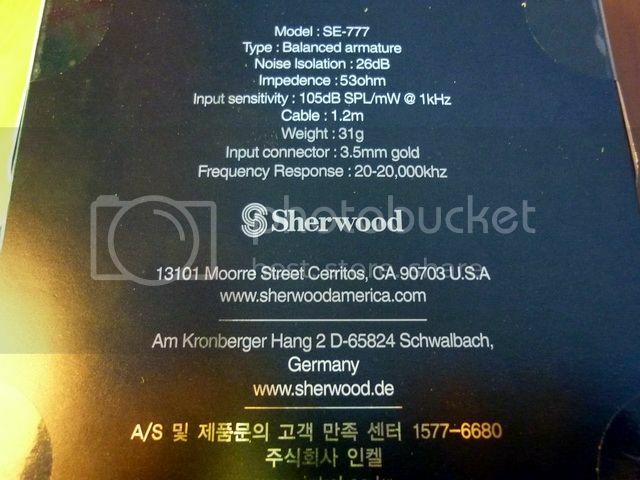 Being Sherwood first attempt to the IEM market, I am glad that they didn't go to the usual / easier rebadging route but rather choose to design a new IEM on their own - even more surprising is that SE-777 actually sounds rather well consider it is priced in the most competitive section of them all - the sub$100 IEM market. 3.5mm gold plated mini plug. SE-777 is very well packed, very classy in fact. The box opens in the middle and reveal both the IEM and the hardcase at the same time, as if you are opening an expensive gift. It is a fairly complicated paper box to put together yet it is simple and straightforward to open, which makes it standing apart from many other all-too-typical design. 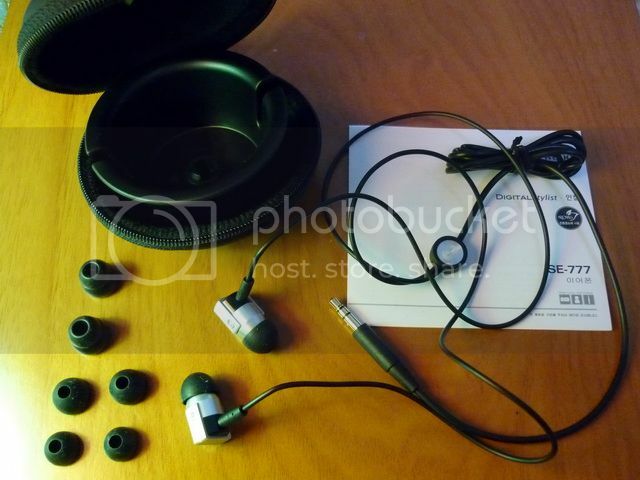 Inside the box, there are the IEM itself, three pair of single flange silicone eartips, one pair of bi-flange, a simple manual, and a hardcase. Though the included items are fairly standard accessories these days, they are all really well made. The only complaint I have is the overall length of the single flange eartips. They do feel solid to me, but they are a bit short. The problem is that the unusually large earpeice and the short eartips are simply a bad combo. To fit the eartips properly, I have to push the housing deeper than I usually would, and as a result feel quite uncomfortable when the earpieces are pressing against my ears. 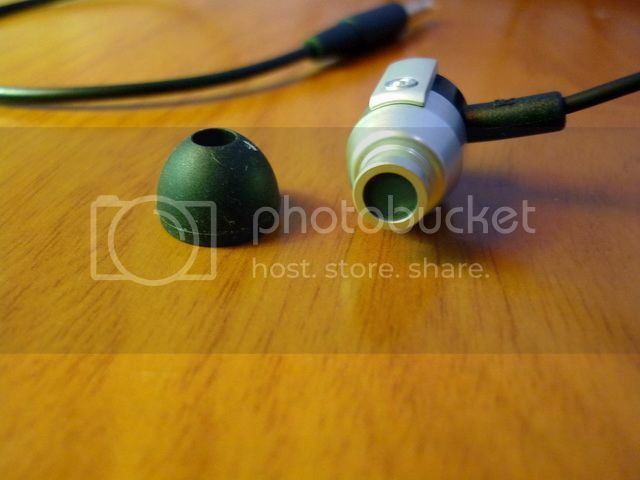 The solution is quite simple - I used some Sony Hybrid clone eartips instead of the stock single flange and now the earpieces sit at the right distance which won't irritate me anymore. 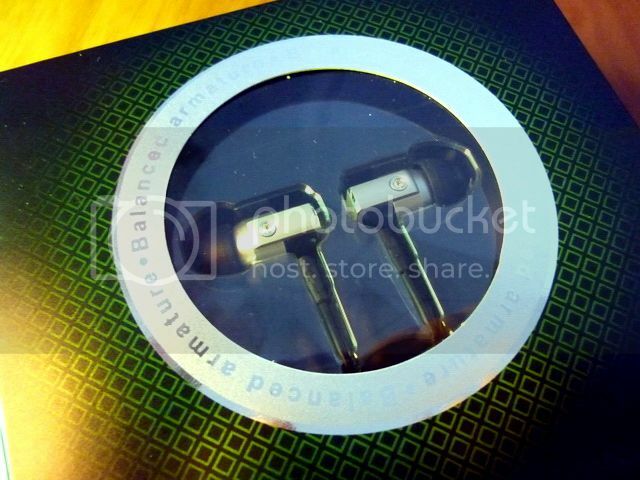 The earpieces are fully metal with black and white anodized aluminum and in a sense, a bit unconventional in design. Beside a little bit heavier and larger than typical earpieces (especially since SE-777 is a balanced armatured based IEM), it feels very solid and have a class of its own. The design of the Y-splitter with a small metal logo certainly adds more points to the overall design. 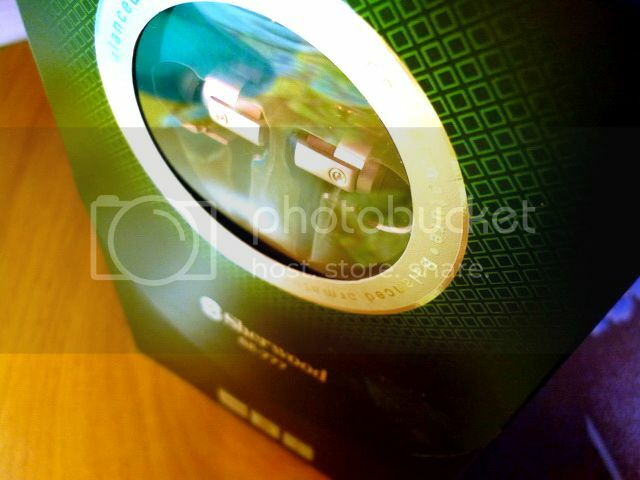 One of the place where you can see how well the build quality is the filter. 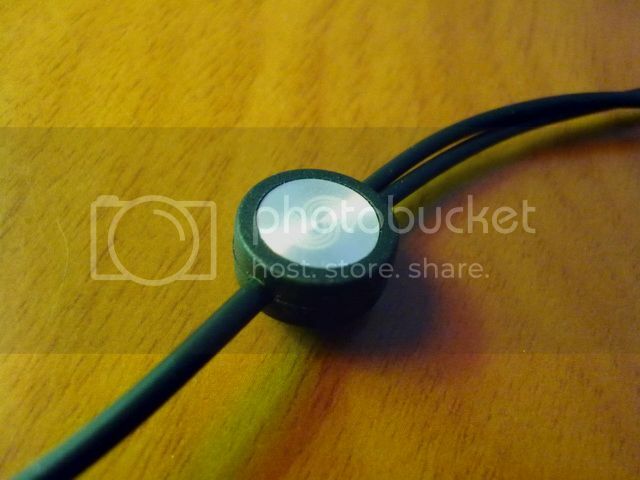 Though it is a glued on filter like many other IEM, it just looks seamless. It would have been great if Sherwood includes a few replacement filters in the package as well, but luckily the filter material doesn't seem to be easily contaminated. I am not sure whether it is due to the design or perhaps the material, but SE-777 has one of the least microphonics cable even when wearing in hanging / not-over-the-ear style. It is so quiet that I think it is almost as good as some over-the-ear IEM. There is no sound transmitted by the cable even when I am actively rubbing the cable. Isolation is decent, slightly better than average and good for daily use, but not enough to handle very loud noise. In sum, despites a few minor issues here and there, SE-777 still proves to be a really well made IEM. As always, SE-777 has been given a 50hrs+ burn-in before the review. The rounded shape of the earpieces is a bit intriguing to say the least. My speculation is that it employs a rounded balanced armature driver, much like those found on s-JAY and PL-50. In a way, SE-777 shares some common characteristic with s-JAYS and PL-50: the same kind of warmness in the sound, but SE-777 simply brings it to the next level of performance. The overall sound signature is very warm and fairly musical, with a full sounding mid and bass. Treble is clean, very well extended but smooth, capable of showing a good degree of fine detail yet it is not the highlight of the sound. Mid is warm and full, slightly forward with a sweet vocal. Bass is also warm and bigger than average body, but slightly slower than expected (more dynamic-like) and do not have a very strong impact, not quite a bass monster and roll off at near 20Hz yet a very good performance (both quality and quantity wise) as far as BA based IEM is concerned. 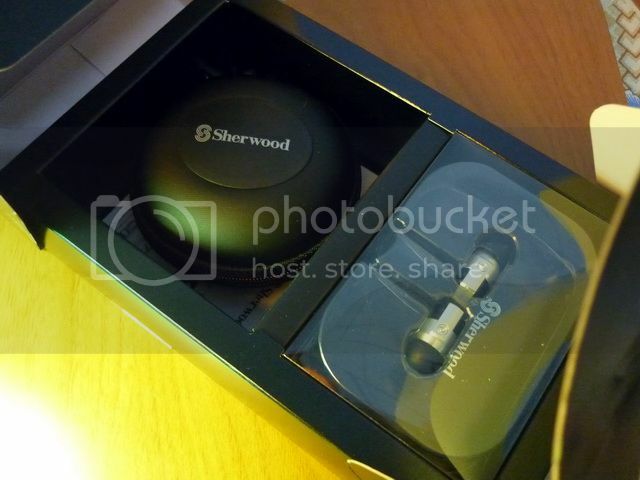 Soundstage is average due to the slightly forward mid, but there is still a good sense of airiness in it. Generally I won't recommend pairing an easy-to-drive IEM with an portable amp unless the source can really benefit from a better amplification. In this case however, I do feel there is a very special synergy that can't be ignored - a synergy so well that it lifts the performance of SE-777 to the next level. 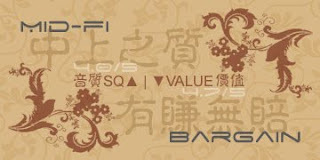 I am taking about pairing SE-777 with Linearossa W1, which I have reviewed here. W1 has an unique sound signature of it own which I find to be good when paired with a warm sounding IEM. In this case, it gives SE-777 an extra wide soundstage without taking away its warm, lovely mid. It also brings out more detail, making the overall sound much more balanced. The real question is, does the combo worths doubling the price of SE-777? At least for me, I think the combination has more than enough performance to rival many of the sub-$200 IEM option out there. SE-777's warm and musical sound is fairly fatigue-less and non-aggressive, well suited for music lover who spend long hours on their IEM. If anything else, SE-777 is a fine example of how well the sub-$100 IEM has evolved with performance reaching / invading the next price range, and perhaps even beyond that. 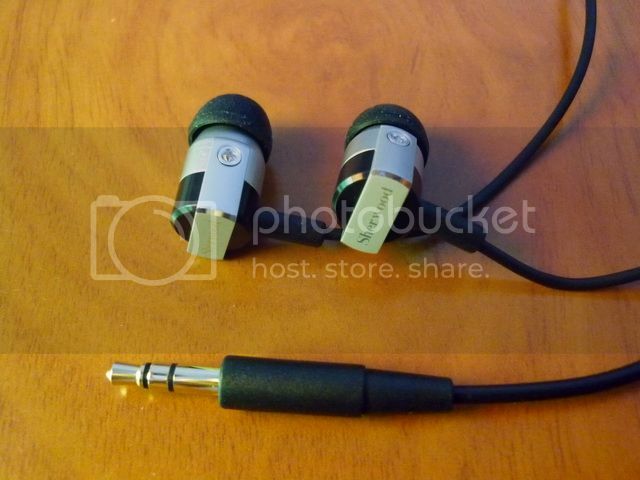 It is simply a superbly made IEM that out performs its asking price. A quick sum up can be found here. Return of the J(edi)H Audio. Ultimate Ears: The Empire Strikes BACK!!! CES 2010 Roundup (and another SDA)!! !